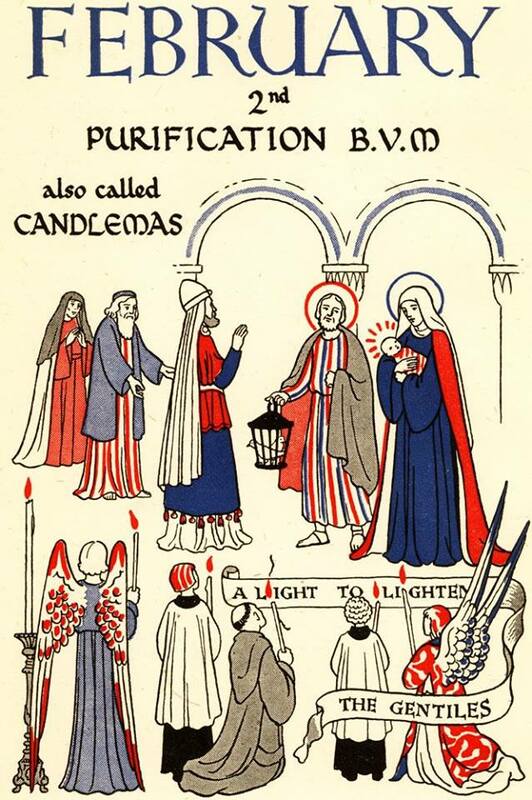 We must ask ourselves before we soon begin Lent: Is our process of purification a priority now or are we putting everything off until Purgatory? The meditation themes for improvement of the "requisite qualities" of Christian heart, to make it worthy to receive the seeds of Divine Sower, Our Lord Jesus Christ. Fragments taken from "Divine Intimacy" by Fr. Gabriel of St. Mary Magdalen, OCD. "The Night of the senses"
PRESENCE OF GOD - O lord, strengthen my desire for union with You, so that I may have the courage to face, for love of You, the total purification of the senses. 1. "In order to attain to divine union with God, the soul must pass through the dark night of mortification of the appetites and the denial of pleasure in all things" (J.C. AS I, 4,1). St. John of the Cross calls the total mortification of the senses the "dark night", because the soul that renounces every irregular attachment to creatures and to pleasure it might find in them, remains "unoccupied and in the darkness" (ibid., 3,1) as far as the senses are concerned. 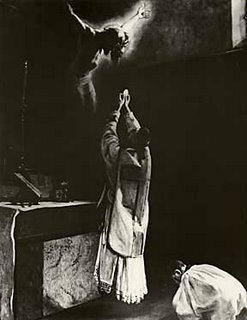 It is to help us to enter this night, through which we must pass in order to attain to union with God, that the Saint tells us to mortify our inordinate tendencies toward sensible satisfactions. However, it is evident that even if we sincerely wish to mortify our senses, we cannot always avoid seeing agreeable things, listening to interesting news, eating appetizing food, and so forth. Sometimes sensible satisfactions will be imposed on us by the necessities of life, by the duties of our state, or even by our superiors. It is absolutely necessary, even in these cases, that our soul remain wholly free from all attachment to creatures and to sensible satisfactions. It will suffice to desire not to have this pleasure, and promptly to "mortify our senses, voiding them of such pleasure," depriving them of everything, "as though they were in darkness" (cf. ibid., 13,4). In other words, we should not stop at the selfish enjoyment of what pleases our senses, but try to raise our heart at once to God by offering Him the enjoyment we feel and which He permits for the renewal of our strength, so that we may be able to take up again with greater generosity the practice of mortification. In this way even natural joys will help to bring us to God and to increase our love. This is what St Therese of the Child Jesus called "to rejoice for Love." This is the pure doctrine of St. Paul, who said, "Rejoice in the Lord always"; and again, "Whether you eat or drink, or whatsoever else you do, do all to the glory of God" (Phil 4,4 - 1 Cor 10,31). If, on the contrary, we stop at the enjoyment of sensible things, we shall never be able to enter the night of the senses. 2. "The soul ordinarily enters this night of the senses in two ways: the one is active, the other passive. The active way consist in that which is the soul can do, and does of itself, in order to enter therein. The passive way is that wherein the soul does nothing, and God works in it, and it remains, as it were, patient" (J.C. AS I, 13,1). The active way include everything that we can do on our own initiative to rid ourselves of every affection for and attachment to creatures. For example, it is in our power to apply ourselves to the practice of poverty, corporeal mortification, penance, and chastity - all of which are virtues that detach the soul from the goods of earth and the satisfaction of the senses. If we want to do all that we can to enter the night, we must practice these virtues generously, keeping our eyes fixed on Jesus, our divine model, who wished to give us an example in everything. But no matter how much we do, our own practices will never be sufficient to destroy completely all the roots of attachments. If we examine ourselves carefully, we shall see that, even in the practice of voluntary mortification, a little complacency may enter in because of what we have chosen, which is to our liking and according to our wishes. In order that our purification be complete, the work of God must intervene, that work which will bring us passively into the night of the senses. He does this by means of trials and contradictions both exterior and interior. It is a time of submission rather than of action; we must accept with humility and docility all that God permits, without trying either to escape the trial or to lessen or change it. 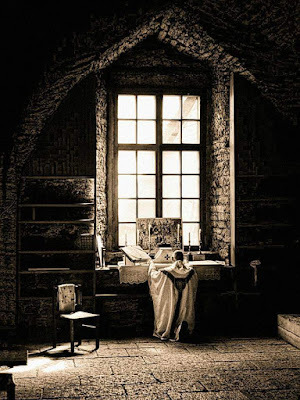 In the Ascent of Mount Carmel St. John of the Cross gives the picture of a soul which, "kindled in love with yearning, sings of the happy fortune which befell it to pass through the dark night. "In fact, to be brought into the passive night is one of the greatest graces the soul can receive, because then God Himself is preparing and disposing it for divine union. If we wish to obtain this grace, we must do everything we can to enter the active night, that is, we must practice renunciation and total detachment. As we prepare to enter the holy season of Lent, we have to begin preparing ourselves. What penance will you be doing? Besides prayer, fasting, and alsmgiving, there are a lot of options. Click here for my prior Top 20 Pious Practices for Lent article. In addition to what I shared in that article, consider distributing flyers promoting the Catholic Faith to those who need to hear these words - fallen away Catholics, protestants, those in doubt, etc. Continuing my articles on the Masters of the Dominican Order, we arrive at the 9th Dominican Master: Nicola Boccasini. Nicola Boccasini, who would become Pope Benedict XI, governed the order after Stephen of Besançon. Blessed Pope Benedict XI was born Nicola Boccasini in 1240 in Treviso, Italy, in the Holy Roman Empire. He would live 64 years until his death on July 7, 1304. At a young age, his father died and left his mother, Bernarda, a widow. It was at that time a Dominican friar left a sum of money in his will to Bernarda and the children. And part of the will stipulated that if Nicola were to enter the Dominican Order, he would receive half of the legacy. Bernarda worked as a laundress for the Dominican Friars in Treviso so the family was well familiar with the Order. Even at a young age, the future Pope Benedict XI was preparing for a life of a monk. His teacher was his uncle who was a priest of St. Andrea. And in 1254, at the age of 14, Nicola entered the Order of Preachers. For the next seven years, Nicola pursued his basic education in Venice. In 1262, Nicola was transferred to Milan where he spent the next six years of his life. At that time, he became a professed member of the Dominican Order. He served as lector for fourteen years, from 1268 to 1282. The next greatest change took place in 1286 when Fr. Nicola was elected the Provincial Prior of Lombary. Instead of being firmly attached to a single convent for years, he would instead become peripatetic, moving from one convent to another on visits of inspection, encouragement and correction. In Lombardy at the time there were some fifty-one convents. After his tiring three year term was completed in 1289, he was released from the office of Provincial of Lombardy. However, he was elected Provincial Prior of Lombardy again at the Provincial Chapter held at Brescia in 1293. In 1296, Nicola was elected as the Master of the Order of Preachers, a role he would serve in until 1303. During this same time, on December 4, 1298, he was made a Cardinal by Pope Boniface VIII. He also served as Papal Legate to France. 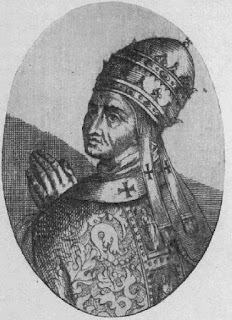 When Pope Boniface VIII was seized at Anagni in September, 1303, Nicola was one of only two cardinals to defend the Pope in the Episcopal Palace itself. He would be imprisoned for three days before being liberated. On October 22, 1303, Nicola was elected to succeed Boniface VIII as the Supreme Pontiff. He took the name Benedict XI and reigned not one year until his death on July 7, 1304. Historians speculate he may have been poisoned. It was after his death that the Papacy moved to Avignon from Rome and thus began the long and trying time known as the Avignon Papacy. Pope Benedict XI, the first Dominican Pope, was widely regarded for his holiness. And in response to his life and the miracles attributed to pilgrims who journeyed to his tomb, Pope Clement XII beatified him on April 24, 1736, and assigned his feastday to July 7th. Blessed Pope Benedict XI, 9th Dominican Master, pray for us! Pope St. Urban I. Photograph on Wikipedia by User: Pleple2000. Taken July 12, 2006. 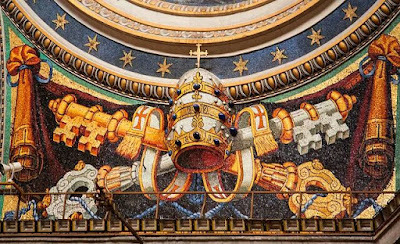 Next in the continuing series of posts on the History of the Sovereign Pontiffs, after the death of Pope St. Callistus I on October 14, 222, St. Urban I was elected as the Supreme Pontiff. 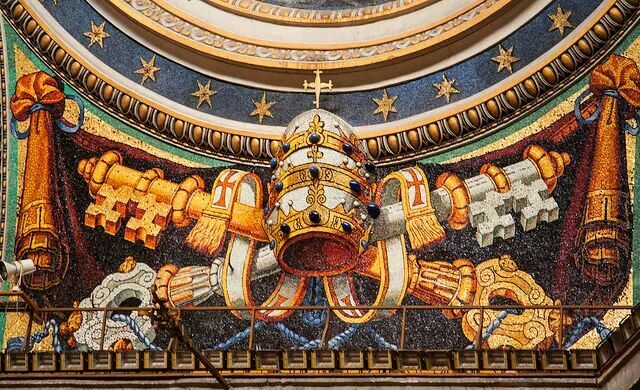 Pope St. Urban I was a Roman who served as the Successor of St. Peter for nearly nine years. According to legend, St. Urban baptized Valerian, the husband of St. Cecilia. But little is known with certainty of his life. He died in 230 and is buried in the Cemetary of Callixtus. The notice in the Roman Martyrology reads : "At Rome on the Via Nomentana, the birthday of Blessed Urban, Pope and Martyr, by whose exhortation and teaching many persons, including Tiburtius and Valerian, received the faith of Christ, and underwent martyrdom therefor ; he himself also suffered much for God's Church in the persecution of Alexander Severus and at length was crowned with martyrdom, being beheaded." It is to be feared that even this short notice is mainly apocryphal. The reference to Tiburtius and Valerian is derived from the very unsatisfactory Acts of St Cecilia, from which also the account of Urban in the Liber Pontificalis has borrowed. It is quite certain in any case that Pope Urban was not buried on the Via Nomentana, but in the cemetery of St Callistus, on the Via Appia, where a portion of his sepulchral slab, bearing his name, has been found in modern times. Not far from the cemetery of Callistus on the same main road was the cemetery of Praetextatus, and there another Urban, a martyr, had been buried. Confusion arose between the two, and an old building close beside the Praetextatus catacomb was converted into a small church, afterwards known as St Urbano alia Caffarella. The confusion of the two Urbans and the muddle hence resulting in the notices of the Hieronymianum are points full of interest, but too complicated to be discussed here. O Eternal Shepherd, who appointed blessed Urban shepherd of the whole Church, let the prayers of this martyr and supreme pontiff move You to look with favor upon Your flock and keep it under Your continual protection. Through our Lord . . . This feast occurs on the Tuesday after Septuagesima (double major). Its object is to commemorate the prolonged prayer which Christ offered in Gethsemane in our behalf in preparation for His Sacred Passion. The Office insists on the great importance of prayer. The feast is placed at the beginning of Lent to remind us that the penitential season is above all a time of prayer. 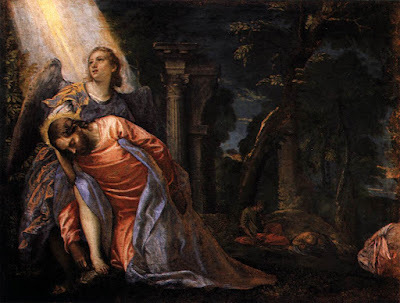 The Office probably was composed by Bishop Struzzieri of Todi, at the suggestion of St. Paul of the Cross (d. 1775), and, together with the other six offices by which the mysteries of Christ's Passion are celebrated (see FEAST OF THE PASSION OF CHRIST), was approved by Pius VI. The hymns were composed by Fatati (Schulte, "Hymnen des röm. Brev."). Outside the Congregation of St. Paul this feast was adopted later than any of the other feasts of the Passion. It is not found in the proprium of Salerno (1793) nor in that of Livorno (1809). Other dioceses took it up only after the city of Rome had adopted it (1831). It has not yet been inserted in the Baltimore Ordo. 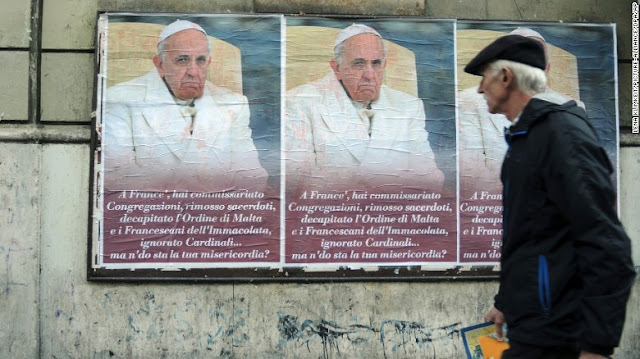 The unidentified posters accused Francis of having "ignored cardinals" and "decapitated the Order of Malta" — references to a bitter dispute between the order and the Vatican that benched a conservative cardinal. The day after the incident, the pope called on pilgrims during the Angelus prayer to stay far away from "the polluting germs of ego, envy, and slander." The following Sunday he criticized the everyday use of "insults," an apparent reference to the anonymous posters, though it seems he was also alluding to a barrage of criticism he has received in recent months over his progressive Vatican reforms and his dissent from Church teaching and practice. In his weekly Angelus address, Francis highlighted Jesus' commandment, "Thou shalt not kill," saying the edict applied not only to actual homicide, "but also to those behaviors which offend the dignity of the human person, including insulting words." He added that he "who insults his brother kills that brother in his heart." Insults indeed are grave sins against charity, especially insults against the Faith. However, the anonymous posters were not intended as insults to the pope, but were earnest inquiries as to where his mercy is at. After all, he has shown mercy for liberal U.N. anti-life agents who use his Vatican to promote a more "sustained" planet through population control (abortion), and he has exonerated people like Albrecht von Boseselager of the Knights of the Order of Malta after he was rightfully dismissed by his superior Fra' Matthew Festing for distributing $millions worth of contraceptives and abortifacient drugs, while Festing was asked by the pope to resign. Where is the pope's mercy? He has shown his mercy to offenders like abortionist Emma Bonino whom he called "one of Italy's greats," and to Fidel Castro who lived by the firing squad, while demoting and showing disdain for outstanding Vatican prelates like Cardinals Burke and Sarah for their humble witness of the Catholic Faith. Worse yet, he has made fun of young Catholics who prefer to attend the Traditional Latin Mass, and went so far as to say that the reason young people attend this more "rigid" form of the Mass is to "hide their evils." In an interview given by Pope Francis to his close confidant Fr. 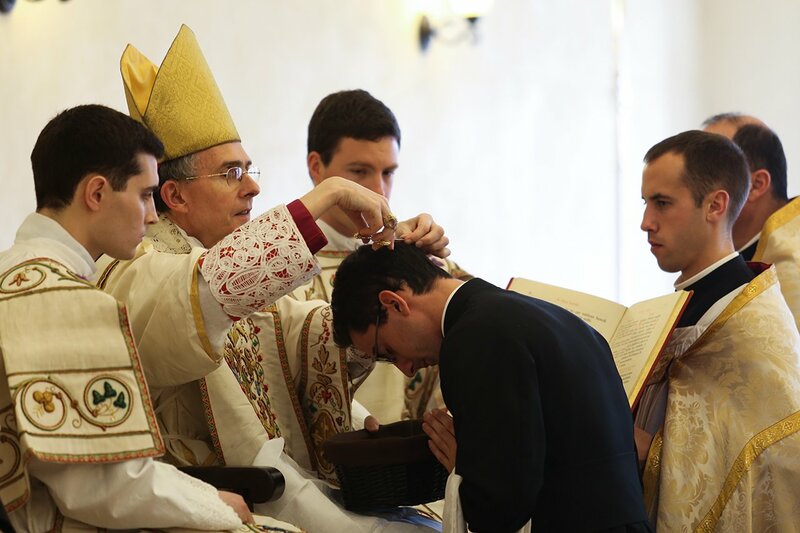 Antonio Spadaro SJ, who is Editor-in-Chief of Civiltà Cattolica, he expressed wonder over why young people, who were not raised with the Latin Mass, nonetheless prefer it. "And I ask myself: Why so much rigidity? Dig, dig, this rigidity always hides something, insecurity or even something else. Rigidity is defensive. True love is not rigid." Words like these are "the polluting germs of ego, envy, and slander" that need to be cleansed from the Church. When Christ said "Thou shalt not kill," it also meant not to kill the spirit of young people, who after much prayer, deliberation, and struggle, have decided to do something right in life to the delight of their Maker. A crime it is that they should be insulted this way for their fidelity. If Francis were true of heart, he would cry tears of gratitude that these young people, who could be using their time to engage in pop culture and sin, have chosen rather to grow up and to attach themselves to God in the old Mass. And he would be instant to understand that it is Christ himself who gently draws these precious souls to himself in the Traditional Mass. Why should Francis Wonder!? Nay, the posters in Rome were not an insult to the pope, but were providentially arranged for his instruction. Let us pray that Francis will revisit this matter and learn by it. And let him "dig, dig," that he might discover his own "rigidity" which makes him "defensive" against tradition. Let us all do our part to support traditional Catholic teachings in a world that increasingly hates the True Faith of Christ. Pope is Disturbed over Contraceptive Scandal? Cardinal Raymond Burke who serves as patron to the Knights of the Order of Malta met with Pope Francis at the Vatican on November 10, 2016, and told him how the organization has been distributing contraceptives in Burma and other countries. The pope was "deeply disturbed" by what the cardinal told him and he ordered Burke to clean out the Freemasons from the Knights of the Order of Malta. To recap, the Order of Malta through the years has been distributing contraceptives and abortifacient drugs through Malteser International (MI), the humanitarian arm of the order. Included in this distribution has been over a half million condoms. Edward Pentin has provided details of MI’s programs in his comprehensive article on the subject. An investigation by the Lepanto Institute provides further information about MI’s work promoting condoms and abortifacient drugs worldwide. Throughout this period Malteser International was headed by Albrecht Freiherr von Boeselager. An investigation by the Order of Malta found that von Boeselager was responsible for the programs involving the distribution of condoms and abortifacient drugs. This led to his dismissal by the Grand Master, Fra Matthew Festing, on December 6, 2016, who was acting on the advice of his spiritual advisor Cardinal Burke. Von Boeselager then appealed to the Vatican. A commission was appointed to investigate his dismissal, though Edward Pentin provides extensive and disturbing information about the make-up of this commission, which seems to have consisted largely of von Boeselager’s friends and associates. 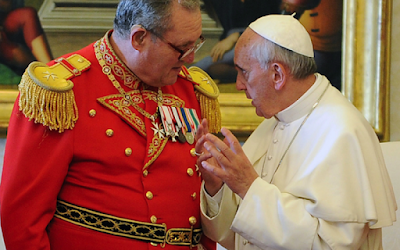 The Military Order of Malta refused to accept the Vatican's interference into their internal affairs. On January 24, Fra Matthew Festing was then asked by Pope Francis to resign, which he did. The next day it was announced by the Vatican Secretary of State that Pope Francis was declaring null and void all of Fra Festing’s acts since December 6, thus nullifying the dismissal of von Boeselager. Fra Festing’s resignation was accepted by the Sovereign Council of the Order of Malta on January 28 and it was announced that von Boeselager was restored to his position as Grand Chancellor of the Order. In short, Pope Francis restored to office a man ultimately responsible for the distribution of condoms and abortifacient drugs, while removing from office the man who tried to ensure that Malteser International remained faithful to Catholic teaching. The report says that the pope was "deeply disturbed" by MI's distribution of contraceptives. If this is truly the case, why did the pope fire Fra Matthew Festing for dismissing Albrecht von Boeselager for his distributing abortaficient drugs and contraceptives? The pope told Cardinal Burke that he wanted the Freemasons cleansed out of Malta, so why is he upset that Fra Festing removed an agent who works for the Freemasons? And too, why is the pope allowing Freemasons and U.N. anti-life agents to use his Vatican to advance population control? It is no secret that pro-abortion advocate Paul Ehrlich, father of the modern population control movement and author of the 1968 best-seller "The Population Bomb," has been invited to speak at the Vatican during a February 27-March 1 conference that will discuss "how to save the natural world." This is deplorable when we consider the possible millions of deaths globally that he and his ideas may have indirectly been responsible for over the past five decades and how he has repeatedly slammed the Catholic Church for its anti-abortion policy. Is the Vatican deliberately seeking to put the unborn to death? The Stanford biologist, who advocates forced abortion for population control along with every kind of contraception, will be given a platform to lecture the Church on how it should conform to the United Nations "Sustainable Development Goals" of making the planet a safer place through population control. Hence the pope's "disturbance" over the contraceptive scandal in the Knights of the Order of Malta raises some serious eyebrows. Why isn't he disturbed about Ehrlich's upcoming speaking engagement at the Vatican or about the Vatican's collusion with pro-abortion advocate Jeffrey Sachs who has spoken now at 19 Vatican conferences? On February 2, 2017, the Feast of the Purification of the Blessed Virgin Mary, at St. Thomas Aquinas Seminary, Bishop Bernard Tissier de Mallerais gave the cassock to 17 seminarians: 14 Americans, one Dominican, one Mexican and one Canadian. For my previous posts on Candlemas including the various Liturgical Traditions for today, please click here.